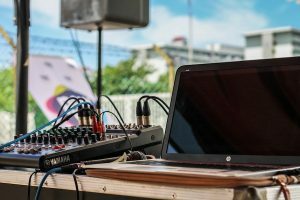 Are you an event planner or have you been given the task of acquiring the best sound system for an outdoor event? We have all the gear you need and it will be our pleasure to contact you. Outdoor events have nowadays become popular due to the endless possibilities that you can have with outdoor events. There are things you should consider when having an event. The number of your pax at your outdoor event (which determines the volume of the sound required) The clarity of the sound is also paramount to us and therefore you need a system that is perfect concerning quality and coverage of the volume. It is crucial to look for a team that will work with you giving the technical support that you need at the event. There is a need to have people who have the qualification and experience in the field of event management. Our team has the knowledge, and they will work with you to give the best solutions that will be appealing as they will ensure you get technical support on the site of the event. It is a partnership that will be of benefit to you. Our products produce one of the best(quality to volume) sounds in the market and will suit all your audio needs. Looking for a team that has worked on many events whether small or large? Such a team will be dedicated and will help you in the implementation of imagination to reality, from delivery and setup, to having a sound engineer on site, all the way to tear down. There are some factors that the team will have to consider such as the number of people who will attend the function, the location of the event, the central controller of the sound. Such factors will help our team to give guidelines on the best systems which will work on a particular event. Outdoor activities can be very enjoyable and full of energetic performances. Good organization makes the event to be liked by those who attended and the organizers praised for the outstanding performance. With this in mind, we aim to make our clients happy by working with them step by step; from delivering the system, system setting up and sound controlling to the end of the events. We have professionals who have the experience and will control the sound for your event. They will make sure that aurally, the event will be a memorable experience.